Be prepared to help your community during a disaster. 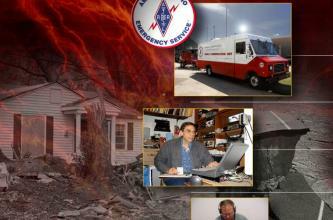 Get the special training required to be an ARRL emergency communications volunteer. Learn from your own home with ARRL's online courses, especially for emergency communications volunteers. Use your Amateur Radio operating skills to help others. Let ARRL show you how many ways your services are needed. A published transcript of the 2011 revision of the Introduction to Emergency Communication course (EC-001) is now vailable from the ARRL store.